Choosing batting gloves is a meticulous process that requires the need to consider several factors. More than price, you have to consider form and functionality, which will provide you with the assurance of making the right decision. You should take a look at the materials used and the innovative features that will make it distinct from the competition. It also helps to read reviews and learn from the experiences of other people. While there are many options available, Gunn and Moore batting gloves are some of the best. They are hard to match in terms of their quality. The manufacturer has been in the industry for more than 125 years, which will provide you with the confidence in their products. There are several technologies that have been developed exclusively by the manufacturer, but one of the most commendable is Poron XRD Extreme Impact Protection. This allows more than 90% of energy absorption, which minimizes the impact that you will feel in every game. It is a microcellular technology that enhances flexibility and breathability, while also keeping weight at a minimum. Compared to other types of protective foams, the absorption is significantly better. When it comes to materials, they are all made from leather, but different types, including Pittard, calf, and split leather. It is impressive in terms of durability, guaranteeing long-term usability. They are also flexible, which will remove any possible restriction in movements. It also makes sure that you will feel optimal comfort. 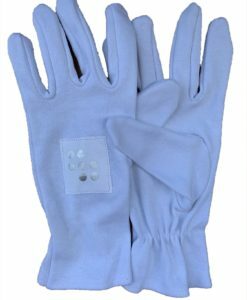 Among others, one of the options you might want to consider is the G&M Original LE Batting Gloves. It has a premium price, but this only goes to show that the quality is superior. It has leather palms with multiple sections for flexibility. It also has a contoured shape, providing customized fit for every user. Lastly, it features MicroBan Technology. The latter is an anti-microbial technology to prevent odor. 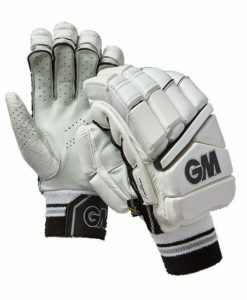 GM 808 Limited Edition is another exceptional choice for the Gunn and Moore batting gloves. It is designed with polyurethane back to minimize shock absorption. The color is a combination of silver matte and black, which also makes it excellent in terms of its aesthetics. Lastly, it has a split thumb design, which is one of the reasons why it is preferred even by the most discerning batsmen. If you are looking for cheaper options, on the other hand, you might want to take a look at GM 606 Batting Gloves. It may be cheap, but this only holds true to its price and not on its quality. It has HD Foam construction, which minimizes weight without compromising protection. The ventilation in the palms is also impressive as it encourages superior air circulation for your highest level of comfort. 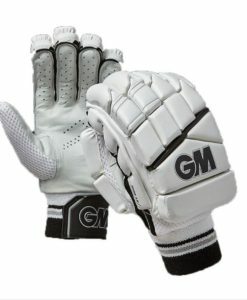 Thinking of buying Gunn and Moore batting gloves? Our online store has got you covered. We have an extensive collection of products from GM, all of which demonstrate the highest quality. They are hand-picked by our experts and available at the best prices. Take advantage of our discounts today before stocks run out!